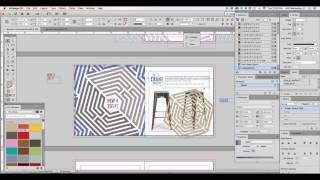 Graphic Design: Designing a Presentation Booklet in Adobe Indesign. (Time Lapse). Designing a presentation booklet for new items. Product photography taken by me with Canon Rebel T5 – 18-55mm lens.